A BIG THANK YOU again for the STUNNING Training course (Strategic Planning and Governance Master Class) in Cape Town!! We have started the process with staff-members in my office – using the Output Document. Looking forward to evaluate impact. I am putting to use the good things that I learnt from you – (Strategic Planning and Governance Master Class). I am juggling my balls better now. And my classes are more interesting because I challenge my students on some of the issues that we discussed. I hope this finds you safe returned in SA. Thank you so much for the two day workshop, it was imperative for me. I walked away feeling more confident and equipped to execute my duties on the board. As I mentioned, I’m always eager to learn so I’ll be sure to keep in touch in forging forward. Keep well and travel safely. Thanks very much for the group picture and the tools you have equipped us with. I have started my personal SWOT/C analysis to establish where I am and where I want to be, will share my findings with you soon for some insight/direction. It was an honor being at your workshop today and thank you for the extra minutes at the end of the workshop. Have journaled your suggestions, and I look forward to seeing how things turn out, in the coming months. Will definitely reach out for assistance if needed. Many thanks for your kind words, and sharing your knowledge – MUCH appreciated. It was a great pleasure to meet you and your professionalism in sharing with us your valuable and gold experience. I wish all success and hope to meet you again in future opportunities. I was personally very impressed and would like to know if you are interested in being Vale registered training service provider for future opportunities or demands? It was very nice meeting you and having you as our Facilitator for the Workshop on “Effective Risk Management Oversight For Executives and Board Members” in Johannesburg early this month. I substantially benefitted from your vast experience and excellent presentations covering the entire GRC FRAMEWORK and much more ammunition for a truly effective director and leader. You make complex life simple and complex material easy to digest and remember, benefitting not only corporate and institutional operations but also better management of personal life. Thanks Peter, and thank you for the friendship and dedication to matters related to Africa and its people. You will be noted one day as “There goes a man”…. Hope you and your dear wife are doing well. Please accept my sincere thanks for the hospitality extended to me and for the success scored in the programme (The Leadership Excellence Workshop), I really feel you did your best for me and I look forward to more such interaction on my journey to try and build up my leadership skills and contribution to building leaders that are committed to leadership. May I commend you for the good work you are doing. The saying “It is more blessing to give than to receive” I feel you are always willing to share your knowledge with others, desiring to build leadership in Africa, this shows the fact that you are willing to give and may God bless you for this right attitude that you have shown. It is also my hope that many up coming leaders can take advantage of this provision you have opened so that we do not only have leaders, but quality leaders. Please continue with the good works. Peter is one of the rare people you come across in today’s world. He is a truly committed warrior for promoting sustainable development in Africa. He is exceptionally gifted in convening decision-makers in business, government, civil society and international organisations for action-oriented discussions. I had the pleasure of working together while setting up OECD’s Africa Investment Programme and organising OECD Global Forum on International Investment’s summit in Johannesburg. 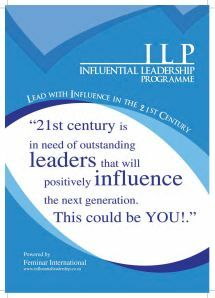 From the time we met (The Leadership Excellence Workshop), I have been a very different person. I have tried to put things in order to make sure your effort of seeing the African people doing well is not in vain. I am very grateful and I wish you long life and God’s blessing. I hope to link up with you some other time. I would like to thank you and your foundation for the great work you are doing to capacitate African business Leaders for the good of Africa – I should not forget the ENABLER (number 1) at home. It was such a profitable time. Your choice of the venue (Avianto), the scope of the program, the certificate and your personal availability for us – Everything was just so positive. First and foremost, I would like to thank the Almighty for giving me the opportunity to meet with you. My life will never be the same after I met you Peter. I enjoyed every bit of your humorous facilitation and will borrow a thousand tricks from your facilitation and notes. The Foundation For Development of Africa is slowly creating a legacy for the present generation to which I belong. Please pass my warmest regards to our lovely mother Mrs Metcalfe. I speak journey mercies on your way back home and may the Lord richly bless the works of your hands. I say thank you Sir for an insightful, well-structured and informative presentations I have been telling them here in HRDC how good the training was. I would love to attend similar workshops should I have another opportunity. Thank you very much for an eye-opening workshop we had last week. I found it to be really profound and enriching. Thank you so much for the wonderful job you did at the WSP (Workplace Skills Plan) Conference! You made the event a tremendous success with your wonderful jokes and antics! In short, I am very happy you were part of the programme. I hope you had a safe trip back to South Africa. I thank you very much for the training which we did. I really captured and learnt a lot although I have 10 years experience. I wish to attend more of your teachings which are simple, you are very friendly when doing trainings which makes anyone calm and get relaxed hence you participate more. Let me express my personal appreciation of both the breadth and in depth course material you delivered to us with such captivating skill and style during the Governance and Risk Management Workshop in Randburg (South Africa) recently. I wished we had more of it. Secondly, thanks for clarifying the FDA. The three projects are fantastic! Cheers to you and your dear wife – the immediate enabler. With a Smile from Uganda, the Pearl of Africa! It was great meeting you and I am really inspired by your passion for your subject and would like to stay in contact to see how we can work together serving Africa. Your organization is doing good work and your projects look very interesting. On behalf of Aloe Learning Centre, we wish to thank you for the invaluable contribution you made at the “Strategic School Marketing Workshop”. From the feedback we’ve received, the program was a great success. We appreciate the time you took out of your busy schedule to join us and thank you for sharing your insights and expertise with our attendees, thanks so much for your enthusiastic participation in our Workshop. I have no doubt that it would not have been the success that it was without your presence. I always admire your dedication and professional commitment. Continue to make a difference. I feel so blessed and inspired knowing that someone like you had given me so much support. Peter I was helpless at the time and never had any direction to my dreams. God sent an angel to rescue me, after our meeting I had to materialize my dreams according to your advice, and now realise that I was capable of more, and it was not just a dream. I then decided to research a medical project dealing in stem cell banking in South Africa, which I’m currently networking with doctor’s and senior government officials. Peter you had installed hope, support, inspiration to me. I attended the CESPAM Seminar on “ENHANCING LEADRSHIP IN FINANCIAL ADMINISTRATION AND ACCOUNTABILITY” in Gaborone two weeks ago, and I still can’t get over your energy and enthusiasm during your insightful presentations. As an MA student in Leadership and Strategy, your depth into issues of Leadership have widened my scope of understanding of some of the minutiae of Leadership as a concept. Thank you very much. please send my regards to your number one enabler! It was great meeting you at the just ended corporate governance summit in Victoria Falls. I enjoyed your presentation so much that at the airport I bought myself a red tie so I could refer to it in my next presentation. I would like to take this opportunity to express my heartfelt thanks to you for your very active participation, as a chairperson, in our recent workshop in Pretoria on “Maximizing Marketing Strategy for schools”. It’s always nice to actually hear something useful on that day, and your ideas certainly sparked a lively debate among all of those in attendance. Again, thanks so much for your enthusiastic participation in our workshop. I have no doubt that it would not have been the success that it was without your presence. We are currently hard at work preparing the calendar for next year, as soon as the calendar is ready, we will let you know. also for so generously giving of your time to do so. I learnt a lot from it and I am certain that so did the course participants. On behalf of the students and from me, a big thank you. I was facilitator at the Clinical Governance and Leadership Conference last week. It was great meeting you Peter. You are such a motivating speaker and facilitator. I benefitted a lot from your presentation and look forward to learning more from you, in future. I just wanted to once again thank you for your support and involvement in the SMME conference. As always you make such a valuable contribution to the success of the conference and we are extremely grateful to have you on board. May you continue to be richly blessed. It was a huge pleasure for me to meet you at Dar es Salaam, Tanzania during the Corporate Governance Master Class Workshop 23-26 July 2012. As a Board member at the National Medical Stores and Executive Director of ARISE a local NGO working with grass root communities in Uganda, i benefited a great deal from your wealth of knowledge and experiences during the training. Your methods of teaching and skills coupled with wide knowledge and hands on experiences and exposure made the workshop very enjoyable and highly informative and relevant. I am certain that soon we shall meet in Uganda. My warm regards to your dear wife. Thank you for running our customer session on re-thinking Africa at our recent Global customer Technology conference in Berlin. On behalf of the planning committee for the 3rd Africa Municipal Business Week, I would like to extend our heartfelt thanks for your participation as a speaker on the opening day, 29 May 2012. The feedback from this conference was extremely positive. Thank you not only for participating by sharing your expertise with our participants, but in being willing to coordinate a program in a completely virtual classroom setting. The participation was much encouraging. We know that this took extra care and skill to adapt your presentation to this style of delivery and to match the audience. All responses were enthusiastic about the content and the overall quality of the conference, and we had great feedback on your presentation. We are especially grateful that your discussion on impediments on FDI was so engrossing, informative and generated so much interest even among our foreign delegates . Once again, thank you for sharing your topic knowledge and helping to support the participants. We know that this would not have been as strong a conference without your contribution. Thank you for joining us in this “adventure,” and best to you in your professional endeavors. Thank you for honouring us with your presence. You are a super program director. Your understanding and knowledge of public sector especially local government contributed greatly to the success of the breakfast. Thank you so much for your assistance today. You are really great at what you do, I am so impressed with your work. It was great to have finally met you and I am looking forward to a long healthy business relationship. It has been quite a while since we met during that informative workshop in Sandton. Grateful thanks for the time we spent together during those few days learning and exchanging ideas on Risk Management and other disciplines. It was indeed a good workshop/seminar and the organization was great. Many thanks for enlighten me on the King III report. My Company (Water Utility) is now in the process of implementing a Risk Management system in which I am personally playing a major role as a Champion. Meeting you and the rest was a real bonus! Your conference was very enlightening and personally I have gained mileage towards progressive thinking and seeing opportunities in challenges. I also would like you to know that I have become more aware of development issues in the world around me from personal to national development. Competence and knowledge of global events covering the Companies’ Act, NEPAD, King III were obviously issues that you were familiar with. I would like to take this opportunity to thank you once again for your great presentation which explored Corporate Social Responsibility in Corporate Governance. As always, our delegates learnt a lot from your vast experience and the applicability of this critical subject for organisational sustainability. – Excellent, very simple, practical, easy to follow presentation. Could listen to the presenter all day! I would like to take this opportunity to thank you for the wonderful execution of the task set before you this week. It was truly inspiring, I believe, both to Hans and myself. For us it has been 11 months of really hard toil to reach this point and the value you added to this event was huge! So often many approach these matters as purely transactional situations of supply vs demand and simply delivering according to requirements. What you have given us personally, to TRALOBA and to the Wesvaal Chamber, and then to the greater audience cannot be measured. You have assisted us in changing this from an event to a “happening”. We look forward to a future relationship with you, particularly with developing a PPP for the event. Thanx Peter, great meeting you – you are an awesome speaker and facilitator, you gave me inspiration. I would like to thank you once again for taking part at our recent 2nd Annual Corporate Governance Conference. As part of feedback for our conference, please find attached the evaluations for your presentation based on the presentation and content of your talk. Well done on the impressive scores! I hope that they will be of value to you and I will definitely keep in touch with your for future related research and events. We would like to thank you for your participation (Chairman and Presenter) at the International Corporate Governance Conference. The overall response from the delegates was that you were down to earth; was excellent; your content was very relevant and entertaining. Others mentioned that you were very ‘time conscious’, a good mentor and an engaging chairperson. We look forward to working with you again in the nearest future. I’m Paula Maleka, we met at Emerald, SMME workshop. I just wanted to thank you again for the presentation so empowering, informative and educative, I came out a changed person. I believe that next time when we meet my business will be on another level. I still want to repeat my words when I said “the price you paid to be where you are was not only for you”, I believe it was also for me and for the nation. The content of your presentation will surely (has actually started) impact my life positively. You are indeed a gift from God, may He protect you and continue to bless you. Just wanted to thank you for being such a wonderful “programme director” and presenter at the conference. We have received such positive feedback and I have to pass the thanks on to you for your contribution. It was a pleasure working with you and I hope that I can be in contact with you regarding next year’s conference which as you know has been scheduled for the 17 and 18 August 2011. I wish you a blessed day further and may you be richly blessed. I thoroughly enjoyed your presentation at this morning’s (SAICA – South African Institute of Chartered Accountants) breakfast. Many thanks for being a wonderful host and chair for the conference. Several people remarked on the wonderful, vibrant and friendly environment over the 2 days, thanks largely to yourself. Our paths have crossed before and I am sure they will again in future. I look forward to working with you in future. From myself and on behalf of Joshua West, I extend a warm thank you for chairing at the Joshua West Integrated Organisational Security Conference. The response from the delegates and guest speakers was tremendous. Your knowledge and study of the topical content shows through… We would be delighted to have chair at our future events, we look forward to this! Joshua West Conference and Training Production Dept. Just a heartfelt thank you for a good conference. Attached my feedback to MassMart and the way we use the knowledge gained in our company. Syncom Business Intelligence would like to thank you for taking part and making the above mentioned conference a success. Please find attached the delegate feedback which we received. We look forward to hosting and making you a part of a BIGGER and BETTER 3rd Annual Marketing, Branding and Web Optimisation Conference. I’m just off the plane and straight into the office to go through my emails before returning to work on Monday. Thank you SO much for the most amazing two days at the Summit (Municipal LED Summit 2009). You are Chairperson Extraordinaire with unsurpassable wit, charm and agility that contributed so much to the success of the Summit. As an outsider, I felt so welcome and was overwhelmed by the openness, motivation and creativity of everyone that I met. More than ever I am committed to making our project a great success and I look forward to meeting you again for what I hope will be a more lengthy visit. Just wanted to say your attitude and approach through out the whole thing (Municipal LED Summit 2009) was just amazing. To be able to sustain your sense of humour right till the end was quite inspiring display of the fruit of the spirit. I think the audience was just amazing as well. I think the whole thing was just covered with grace. The Joshua West team and I take this opportunity to thank you for your time and contribution at the Innovative Intranets and Websites Conference. Your professional chairmanship added great value to the proceedings and overall effectiveness of the event. Excellent and entertaining person who keeps the ball rolling. Great chairperson, friendly and approachable. Brilliant, he knows how to navigate his way through 1000 of eyes. Well spoken, well managed and good time management. Peter, thank you once again for your participation. I knew that the event was in good hands. Joshua West will definitely run this event again next year! The feedback was so great from our last conference, that we would be honoured to have you chair our next conference in September. Please can you respond as soon as possible. I would like to thank you for your presentations and lovely speech at our Initiative – you made me proud and my Comrades of what we trying to do. I had to tell them about you from the Conference that we held with Tshepo in Soweto Ubuntu Kraal you are an inspirational and a good person and your wife. Please if you need anything that i can be able to help with or join you in your seminars give us a call anytime. Thank you for the cooperation and chairing the World Class Service Excellence conference at the the Michelangelo Hotel (Sandton South Africa). I trust this is the start of a good working relation and we will certainly be contacting you for future arrangements. I would like to thank you most sincerely for your contribution to the US workshop earlier this week. From all accounts, it was a great success and your particular contribution was greatly appreciated. Omega has a keen interest in the US and specifically in US-African relations; and while we caution – as did most of the speakers at the conference – against over-expectations of what an Obama Administration will mean to Africa, there is no question that his presidency will add interest to US-African relations; and this is something we will be coming back to from time to time. Thank you again for your contribution and looking forward to working with you in future. I would just like to say a very big thank you for your participation (Chair) in City Development World 2008. It was a great pleasure working with you, and your time out of the office was much appreciated. Your involvement helped make this year’s event a success! From the event evaluation forms, the delegates rated your presentation at 3 out of 5 for day one and 4 of 5 for day two. You were rated as one of the top speakers for the conference. The top speakers for the conference included Nirvesh Sooful, Jay Naidoo, Esther Schmidt and David Pilling. Thank you for being punctual, it helped us keep the agenda on time and ensured delegates had ample time for questions. Overall, the event was successful. I want to personally thank you for your valuable and insightful contribution into the Strategic Public Sector Procurement conference. Your participation added immeasurable value to our delegates. Thank you especially for the time it took you to share your expert views and suggestions, it is appreciated. I look forward to working with you again at future events. I am yet to register our appreciation on behalf of the High Commission of the wonderful work you did for us. You undertook the committment of the whole event as belonging to you personally. No amount of words can ever express our uttermost gratitude to your time and enthusiasm. Accept this as a sincere thank you. It was a pleasure to meet you at the exploration conference earlier this week. You were one of the best conference chairmen that I have experienced. I trust that you will have a great weekend. I was one of the participants at your presentation last week, during the Advanced Service Delivery Seminar. I must say you helped me a lot, I feel revived. Keep enhancing the world with your sound knowledge. Thank you for your message. I am very encouraged by your kind words. My chairing of the conference after you left was easy, as I was carried along by the momentum of the very positive energy you had left behind! It was a rare privilege for me to have met you and to have been touched by your radiance. You are such a lovely human being – so kind, warm, generous, caring and wise. Thank you for taking the time to chair at the “Change and Internal Communication Symposium” held at the Midrand Conference Center. I am grateful for the time you spent preparing the expose. I especially appreciate the quality and knowledge of subject matter that you have presented. Again, thank you so much for your time. I greatly appreciate the assistance you have provided to the delegates. Thank you so much for you assistance (chairing and presenting) at the Mine Closure and Rehabilitation Conference this week. It was very well received and the delegates rated your ability and personality very highly on the evaluation forms. Once again I am writing to give you our very sincere thanks for making our programme so successful. Your message had real impact. Rochelle Davidson, one of the delegates, quotes you directly: ”When you care about something it is a 9-5 job. 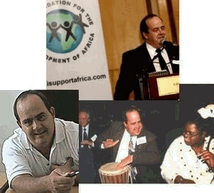 When you care for something it is a way of life” – Peter Metcalfe (Director, Foundation for the Development of Africa). Rochelle understands this as being passionate about work. You added depth to their understanding and your enthusiasm and commitment are inspirational. Thank you for such an informative conference (Africa Infrastructure Renewal). The presentations and discussions were very enlightening. And thank you for all the information you sent through. Thanks again for your great chairmanship (African Infrastructure Renewal and Financing Congress). Me and my colleagues from Namibia took a lot of ideas to reflect about home, which we will have to digest first a bit and then to discuss with our Road Fund and Ministry. I would be glad if you could mail your most important 10 outcomes to me. I will then add my thoughts and ideas before we forward everything to our colleagues. On behalf of AMC International, I would like to extend our sincere thanks to you for chairing and speaking at the “African Infrastructure Renewal and Financing Congress” which took place at the Hilton Hotel in Sandton. .
Congratulations indeed and our sincere thank you for your input into this event. We appreciate the time and invaluable effort you put in to make the event a success. With your assistance and expertise, the conference was informative for the attendees and a successful event for AMC International. Good support and effort to Help develop Africa. As a chairman – quality and charing impressive!! Once again, thank you for participating at the conference. I hope that you enjoyed and benefited from the conference and we would be delighted if you would consider participating in future AMC International events. On behalf of Omega Investment Research and African Renaissance Holding, we would like to thank you for chairing the third session at the World Sporting Events Conference at Gallagher Estate yesterday. From all accounts, we feel the event went really well and the feedback we received from the delegates was very encouraging. Thank you also for sending through your report! On behalf of AMC International, I would like to extend our sincere thanks to you for chairing “Hospital Acquired Infections Conference and Workshop” which took place in Johannesburg. Thank you very much for being such a warm and “real” chairman yesterday. There are so many out there whom I’m convinced are robots or cold-blooded creatures – whilst they might be good at what they do, one is not able to feel their humanity. Thank you very much for your effort and participation at the conference on “Municipal Economic Development”. From all the Chairman that I have worked with – you are truly the best. You have added great value to the conference – the delegates really enjoyed the conference and thought the presentations were of top quality. We have attached an evaluation report on the conference, you were rated the best speaker for this conference. Once again thank you very much for your warmth and looking forward to doing business with you.